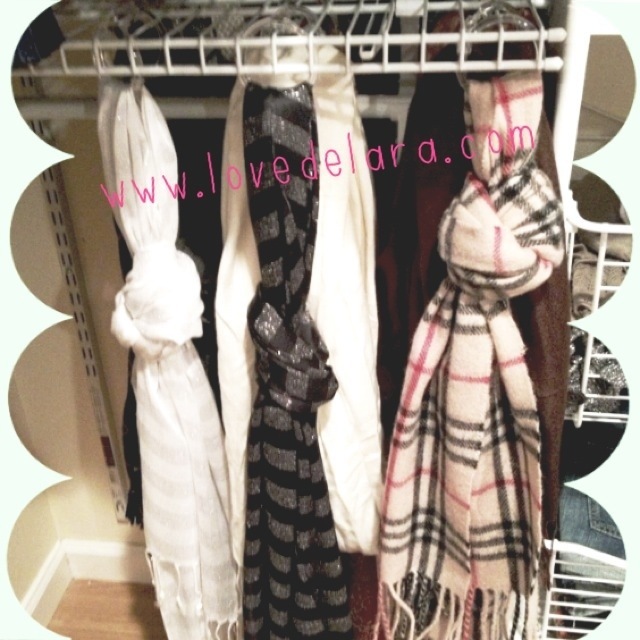 As I attempt to organize my closet…I thought I’d share with you a quick DIY tip that will hopefully solve the disorganization of my abnormal amount of scarves lol. My parents have a costume jewelry shop that I raid from time to time which is why I have a ridiculous amount of accessories (i.e. scarves). I noticed they were displaying their scarves by using bracelets (looping the scarf through and placing it on a bracket). 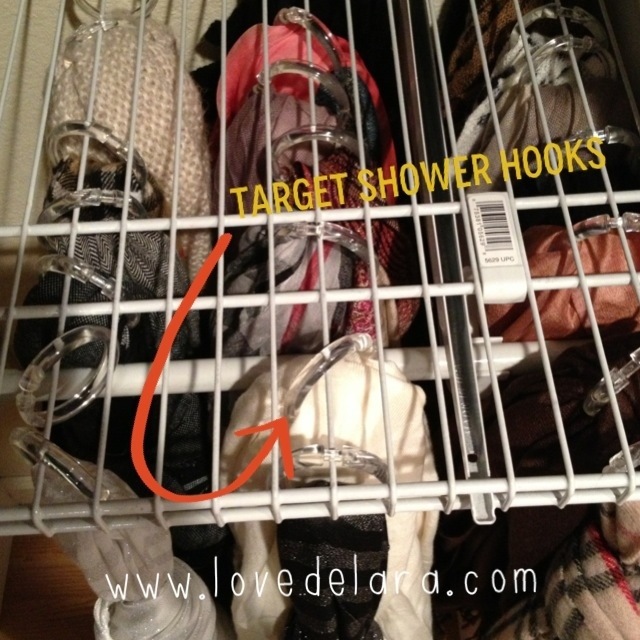 So instead of using bracelets I went to target and bought inexpensive clear shower hooks to hang it from my closet maid shelf. My scarves used to be folded & buried in a basket. This is a much better way to actually see what you have! Although I must admit it takes up prime closet real estate, but lets see how long I keep it this way lol. Happy organizing!! I keep taking social media breaks and feels like it will never end. This entry was posted in On the Daily and tagged Organization. Bookmark the permalink.